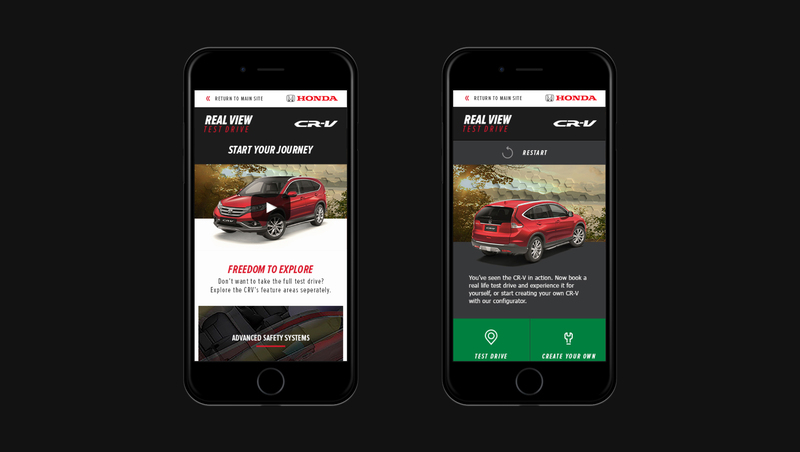 My second major project for DigitasLBi was Honda Real View Test Drive, an interactive video experience that sits at the heart of Honda’s biggest-ever European content programme. We were tasked by Honda to create a "fully integrated suite of engaging and informative content for the Honda car brands”. The Honda web platform at the time had a lack of product detail for users in the mid marketing funnel. Key insight also told us that the average European car buyer only visits one or two dealers on average during a three-month car-buying period. 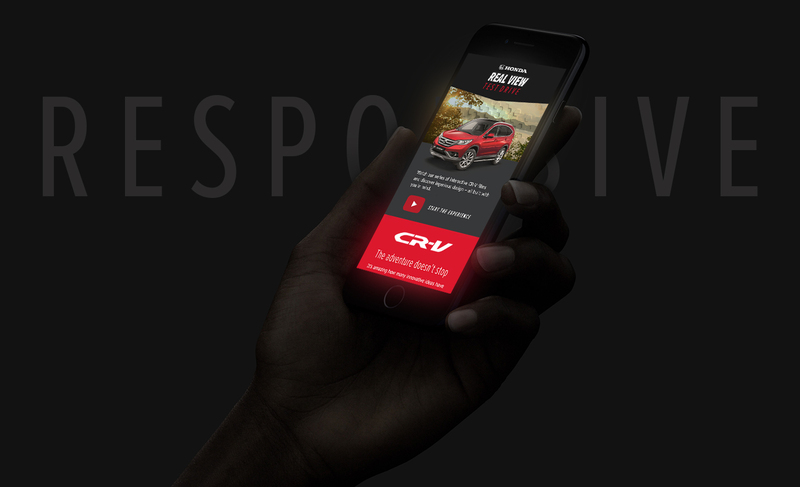 With this in mind, we decided to bring to life the test drive experience through digital channels, enabling users to understand key features and the driving experience without stepping foot into a Honda showroom. Real View Test Drive brings to life the traditional test drive experience for four of Honda’s main vehicles. The video experience is split into two parts, the first being a real life first person story narrative and the second, a realistic CGI showroom where feature demonstrations take place. Throughout the journey, the user can choose to seamlessly transition into the showrooms to learn more about certain features. 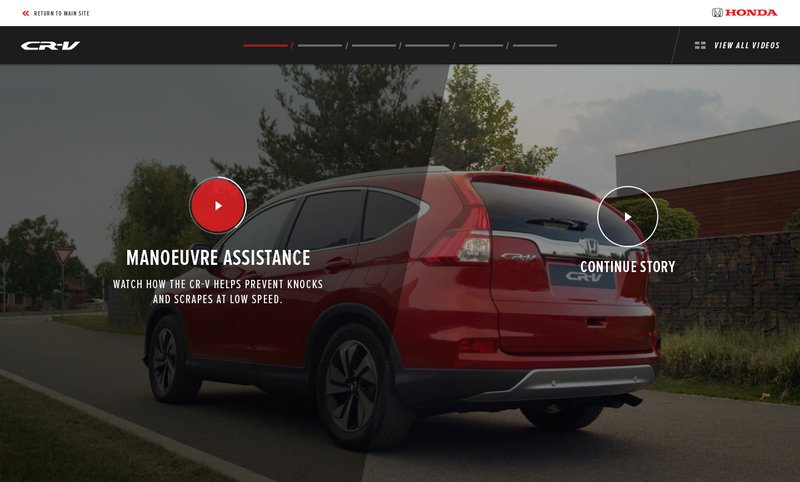 I fully designed the whole experience which sits within the Honda website. Accessible from the nav or an in-page module the user is taken on an interactive full screen video experience. At key moments the user can choose to transport themselves into one of the CGI showrooms to learn more about certain features.